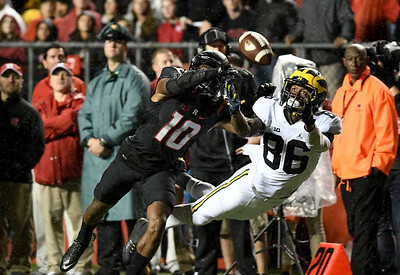 Michigan wide receiver, JEHU CHESSON (86) and Rutgers defensive back, BLESSUAN AUSTIN (10), battle for the ball in a game Highpoint Solutions Stadium in Piscataway, New Jersey. 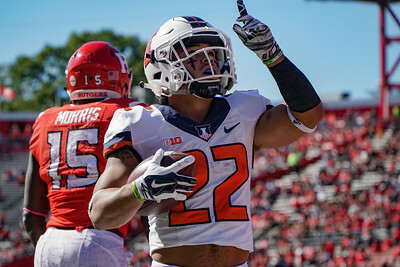 Illinois running back, KENDRICK FOSTER (22), celebrates after scoring a touchdown against Rutgers in a game at Highpoint Solutions Stadium in Piscataway, New Jersey. 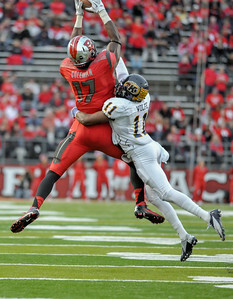 Rutgers wide receiver, BRANDON COLEMAN (17), catches a pass over Kent State defensive back, NORMAN WOLFE JR. (11). 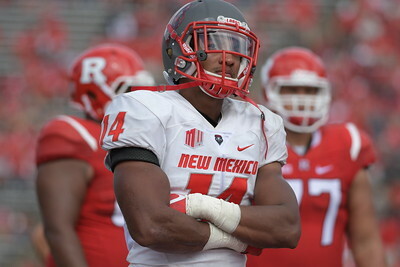 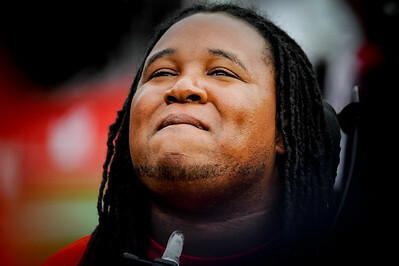 New Mexico wide receiver, ANSELEM UMEH (14), watches the replay as the officials review a New Mexico fumble in a game against Rutgers at Highpoint Solutions Stadium in Piscataway, New Jersey. 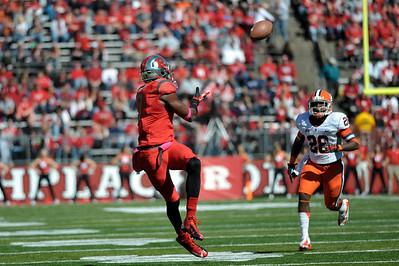 Wisconsin running back, MELVIN GORDON (25), leaps over Rutgers defensive back, GAREEF GLASHEN, for a first quarter touchdown. 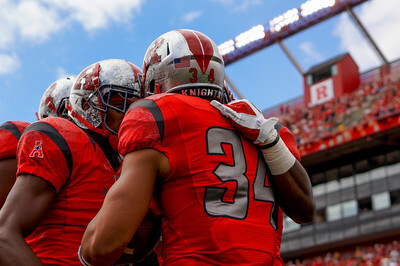 Rutgers wide receiver, ANDREW TURZILLI (19), and a teammate celebrate after catching a touchdown pass against Tulane in the first half of a game at Highpoint Solutions Stadium in Piscataway, New Jersey. 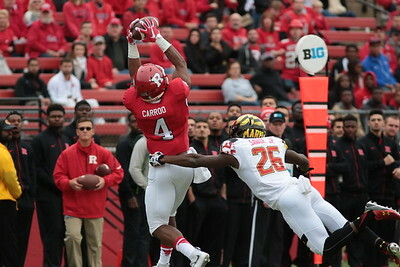 Rutgers wide receiver, LEONTE CARROO (4), catches a pass against Maryland in a game at Highpoint Solutions Stadium in Piscataway, New Jersey. 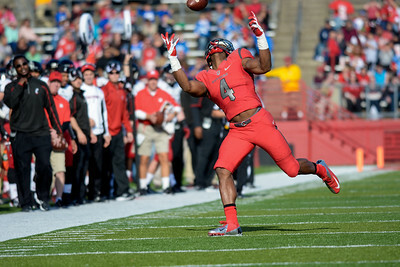 Rutgers wide receiver, BRANDON COLEMAN (17), looks to haul in a pass against the Syracuse University defense. 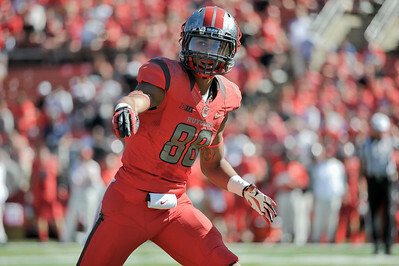 Rutgers wide receiver, LEONTE CARROO (17), reaches for a pass against Cincinnati in a game at Highpoint Solutions Stadium in Piscataway, New Jersey. 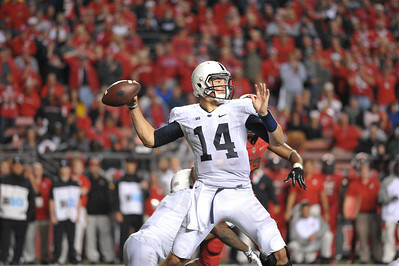 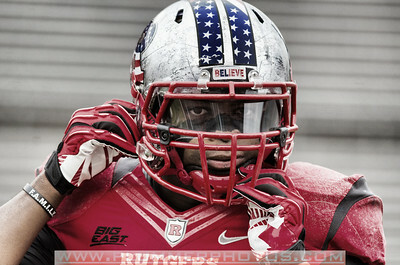 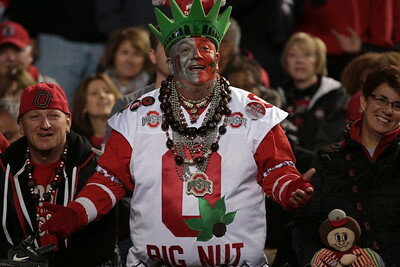 game against Eastern Michigan at Highpoint Solutions Stadium in Piscataway, New Jersey. 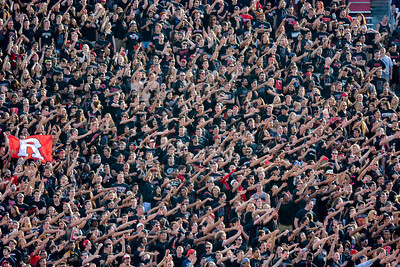 The Rutgers student section leads the rest of the stadium in a cheer during a "blackout" game against Arkansas at Highpoint Solutions Stadium in Piscataway, New Jersey. 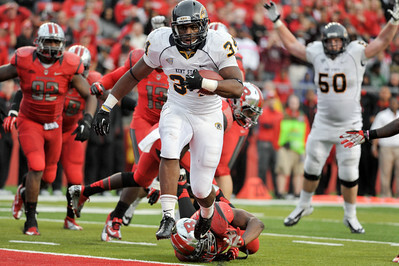 Kent State runningback, TRAYION DURHAM (34), rushed for 131 yards and this touchdown score against Rutgers.